I liked this widget so much on Philofaxy that I decided to add it to Plannerisms! At the bottom of each post, you'll find 3 posts listed that may or may not be related that you might find interesting. I think it's great as highlights older posts that you may or may not have looked at. 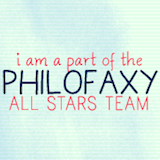 Enjoyed it so much on Philofaxy that I also added it to my blog :-) Looking forward to the same on Plannerisms! That's great CB! Yes it's fun to see old posts I may have forgotten about come up. I've also rearranged the sidebar and added some new 2011 planners. I moved the Search bar toward the top of the sidebar so that it's easier to find. You are right, I never have tried Day Timer inserts. You might ask over at Philofaxy, I bet some folks over there have tried them before. For future reference, you can scroll down the sidebar under "Browse Planner Brands and Formats" to see the brands of planners I have reviewed. A tip when clicking on the icons to take you to a different post: right click and choose "open in new window" so that you can check out the other posts of interest without losing your place! Just moved the Philofaxy Google Search up to a similar position on the side bar! Makes sense. Always seems to be too many things in the side bar I wonder what people actually use: Search, tags, archive? Need to find time to rationalise the number of tags we are using!!! and also tag earlier posts too... More work! Point taken, I have moved the Archives higher up on the sidebar here, and have condensed some other elements into Contact me. I think Petra was referring to Philofaxy... sorry for the confusion Laurie, but likewise I've moved the archive further up on Philofaxy this morning.